Social media remains a popular internet application, and is a powerful platform for connecting with family and friends, as well as finding like minded individuals across many topics. Dating back over a decade to 2004, Facebook remains the leader in social media, with 2.23 billion users worldwide, and is also the most popular social media app in the US with over 168 million users. 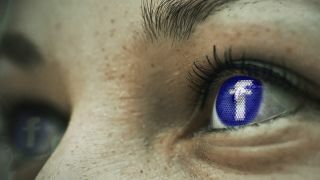 With over two billion folks looking to make online connections, Facebook remains quite popular, which contributes to additional users joining up. However, before you pull up your smartphone and breeze through those app sharing permissions, clicking ‘Yes’ to give access to every sensor and bit of data that the device has, just to get the app working, let’s look at the data collected on Facebook users, so you can make an informed decision if this is the platform for you. This one should hardly be a shocker, as there are occasions where folks purchase items on Facebook. These purchases include games, ticketed events and contributions for both personal and charitable fundraisers. As this is done via a credit card, Facebook has this on file, which seems appropriate enough, but in reality should give any user a pause for concern with the revelation of a recent hack of Facebook that exposed information on 30 million users. Furthermore, Facebook keeps a running tally on these purchases, and for those that buy stuff, can easily track where the money gets spent, and use this to build a personal profile on you from the causes you support. Facebook continues to be popular on smartphones, and in fact for last year, 63% of Facebook users went with the mobile platform, making it quite a bit more popular than desktop use, a trend that is expected to continue in coming years. While the Facebook app needs to be on the smartphone for use, this is another example of a ‘Grabby app,’ as just because it gets downloaded to a phone, it should not just helping itself to an unsuspecting user’s data. On balance, most of us would likely be ok with Facebook going through our contacts, for the purpose of finding us some additional folks to friend and expand our Facebook circle. However, most users would not realize that their Facebook app has been delving into more than that. In particular, on the Android platform, there have been reports of Facebook having access to, and keeping data on the calling history of the user- yes that includes every single call for a time period spanning years. If that is not enough, the Facebook app also has helped itself to the SMS data, you know, all those texts sent back and forth constantly. They are also applying their algorithm to try and determine business from personal contacts. If you wanted Facebook to have your message, you could have sent a Facebook Messenger, and not a text. Also fascinating, is that the phone contacts, call history and SMS data does not get mentioned, at all, in their list of the types of data they collect. Following the Google model of making money through targeted advertising, in a recent analysis, Facebook is deriving 98% of their income from an advertising business model. And targeted advertising achieves better results the more that they know about their audience. Therefore, Facebook keeps a running tally of your likes and dislikes, based on your past activity. Therefore, if you like a certain political figure, for example, while Facebook claims they won’t sell this information directly, they will then allow advertisers to send ads based on what they surmise your political preferences are. They also target ads based on your previous clicks on ads, as well as your posts, and which posts of others you have liked. After all, rather than just showing random ads, it is much better to send the right ad to an interested party, such as an ad to for a baby registry once Facebook knows that the user is pregnant, or car ads once they know that you put up a post that you were stranded by the side of the road waiting for a tow truck. Part of settling into your Facebook account is to post a profile pic, allowing you to be easily recognized by other users. It also, for those with common names like “John Smith,” makes it easier for other users to confirm they are friending the correct John Smith that they attended college with, and not the other umpteen others that they could be confused with. Facebook has taken this further, ran Artificial Intelligence facial recognition software on user’s profile pics, and turned them into a large database. This came up as users figured out that they were being automatically tagged in other user’s images, while nobody had manually designated who they were. Earlier this year, this even resulted in a class action lawsuit going ahead. Users have claimed that they did not explicitly consent to being subjected to the facial recognition process, nor the creation and storage of their facial templates. Once again, Facebook’s own page on their too long list of data collected on users, neglects to mention anything about storing your facial recognition template. While many of us cannot remember what we had for breakfast today, Facebook remembers- like everything. They know exactly when you created your account, everyone you friended and unfriended, and every post you have ever made. They know your work, your college and have a front row seat on your relationship status. If that was not creepy enough, under the term Facebook Location Services, they know exactly where you are currently, and everywhere you go. Sure, there is a way to opt out, but too many users, most likely by default, opt in, and literally have ‘Big Brother Facebook’ along for the ride, and tracking their every move.